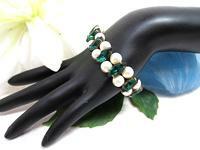 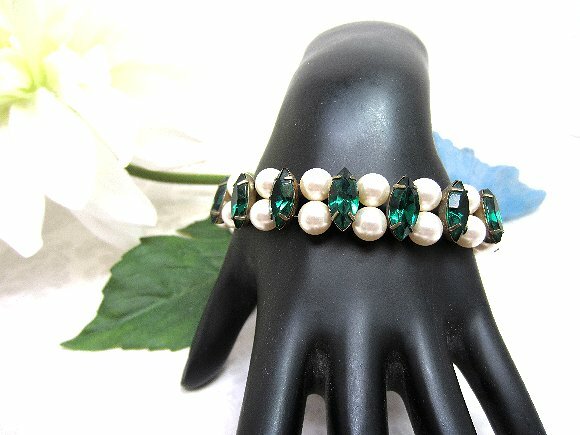 This hand beaded bracelet is a study in contrasts: sparkling emerald green crystals against glowing white pearls. 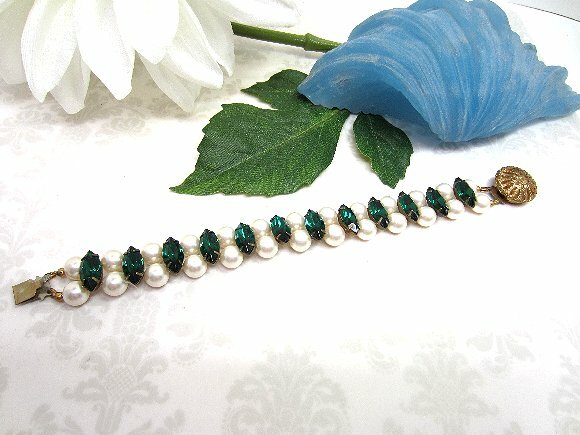 I've used vintage marquise-shaped emerald crystals in brass settings to space 8mm white glass pearls. 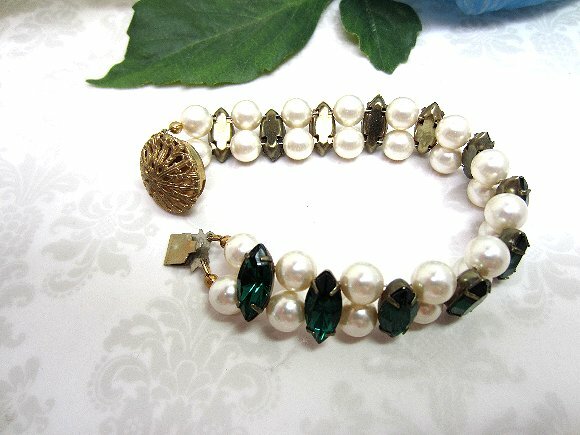 The 7-3/4" beaded bracelet closes with a vintage brass filigree clasp. 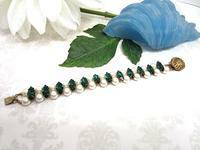 It's another sparkling bit of bling from SPARKLE PLENTY.